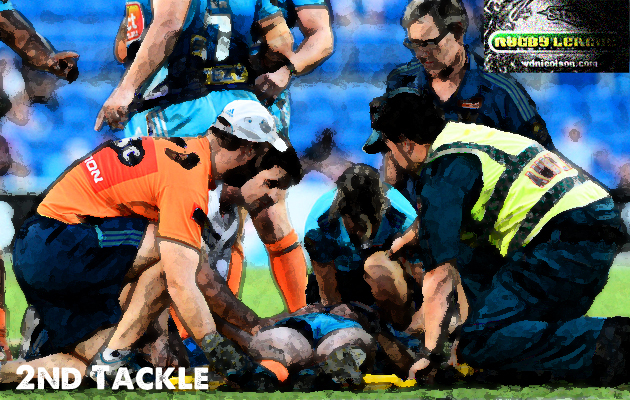 2nd TACKLE: So is there an actual concussion rule? 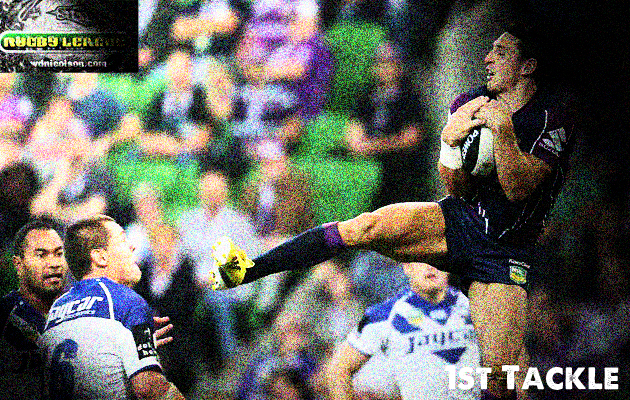 1st TACKLE: Did Slater bring this on himself? 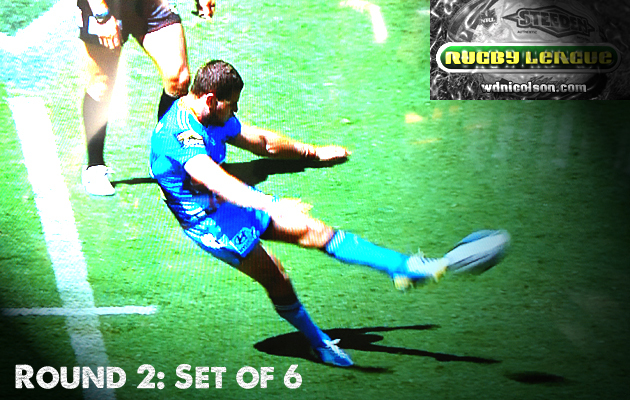 Why is this kick a growing problem for the NRL? Read on to find out. 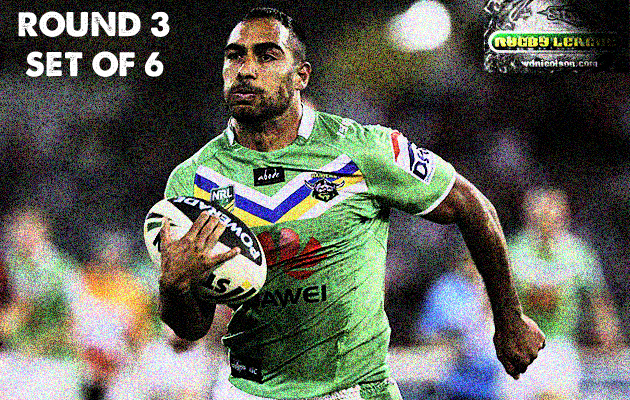 Can Chris Sandow get the Eels back into contention by himself? And here on www.wdnicolson.com we're pleased to report that we didn't steer you too badly in Round 1 - securing a solid 5/8 on our Regular Tipping and FootyTab selections. In fact only DC Chapman from our 'Awesome Foursome' panel went below 5/8 for the week (he picked 4/8), and you will do yourself good by following Jake Hauritz and Matthew Duncan's picks each week. 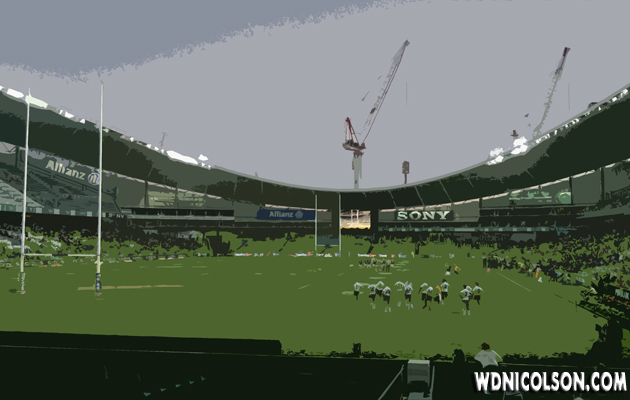 There was value to be had for the punters with the Storm giving the start against the Dragons, while the money flowed for the Cowboys right up to kick-off... and they duly did the business on the Dogs. 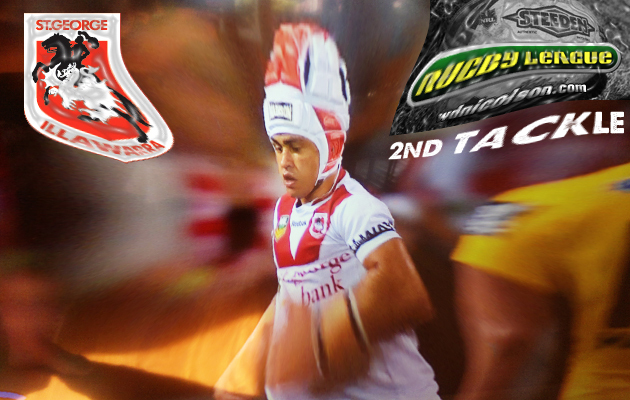 For our analysis of Tuesday team selections for Round 2 - click here. As far as Late Mail went - the rolling lockout for all you NRL Dream Team and NRL Super Coach nerds should have allowed you to make any last minute changes quite easily, but once again our Latest of Late Mail should've helped in any selections you made before Thursday's season opener. Below you'll find the Round 2 Tipping Preview with our heavily researched Latest of Late Mail going up from Thursday morning onwards. Keep track of game-day Late Mail via #NRLLateMail. 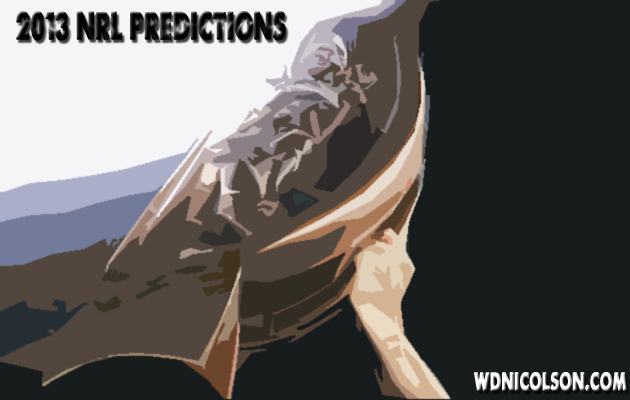 The footy starts tonight with the Roosters v Rabbitohs at the SFS and www.wdnicolson.com is rolling out of final set of predictions for the 2013 NRL Season. 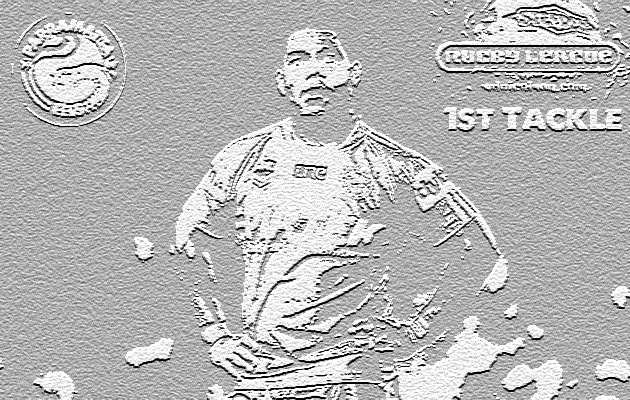 I'm heading down to the SFS for the match and with Sonny Bill Williams set to take part - the 2013 season opener should be a cracker. You can read up on all our Round 1 Tips here and it features our heavily researched Latest of Late Mail NOW UP. 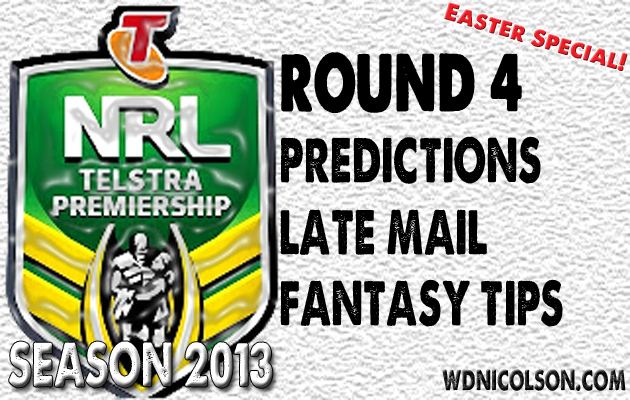 Keep track of game-day Late Mail via #NRLLateMail. This year didn't start the best off the field, so let's hope the play on the field continues to get better and better. In particular, make sure you enjoy the opening 4-6 weeks - they are always the most interesting for all 16 sets of fans - because you've got a team to support that's still a chance in September! Our picks are below. Enjoy the season and thanks for sticking with www.wdnicolson.com for another season.